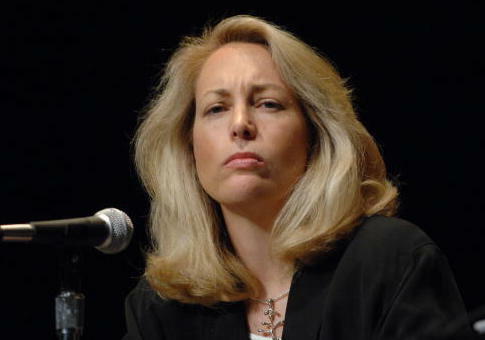 Valerie Plame, a former CIA officer who was ousted during George W. Bush's administration, will run for Senate as a Democrat in New Mexico. Plame told the Washington Examiner she would "like another opportunity to serve my country." She will have to overcome her history of tweeting anti-Semitic content. In 2017, she had to apologize after tweeting a UNZ Review article titled "America's Jews Are Driving America's Wars," which argued that Jews "own the media," should wear labels on television, and claimed their beliefs were as dangerous as "a bottle of rat poison." Her initial response was: "First of all, calm down. Re-tweets don't imply endorsement. Yes, very provocative, but thoughtful. Many neocon hawks ARE Jewish." But she later added: "OK folks, look, I messed up. I skimmed this piece, zeroed in on the neocon criticism, and shared it without seeing and considering the rest." She later apologized and resigned from the board of the Ploughshares Fund, which provides grants for projects aimed at preventing the spread of nuclear weapons. But in the space of three years she had posted nine UNZ articles including one titled "Why I Still Dislike Israel" and another about "Dancing Israelis" on 9/11. Earlier in February, she apologized for anti-Semitic tweets which accused AIPAC of paying politicians to be pro-Israel. Plame has turned to activism since her time in the CIA. She launched a GoFundMe campaign to buy a stake in Twitter and ban President Donald Trump. Her campaign fell almost $1 billion short of its goal. Prior to the 2016 election, she hosted fundraisers for Hillary Clinton's super PAC and presidential campaign. Plame's identity was unveiled in a 2003 column, which she claims was "payback" from the Bush administration after her then-husband, former ambassador Joseph Wilson, criticized the intelligence used to justify the Iraq War. New Mexico's Senate seat became available after Sen. Tom Udall (D., NM) announced earlier this week he would not run for reelection. Plame will likely face Rep. Ben Ray Lujan (D., NM), and possibly New Mexico secretary of state Maggie Toulouse Oliver and Rep. Deb Haaland (D., NM), in the Democratic primary. This entry was posted in Politics and tagged Anti-Semitism, Ilhan Omar, Senate, Valerie Plame. Bookmark the permalink.